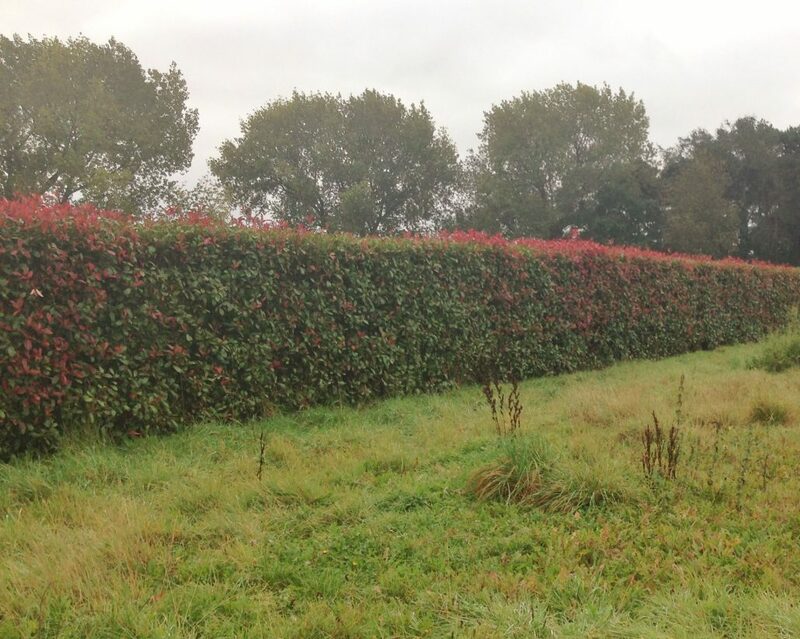 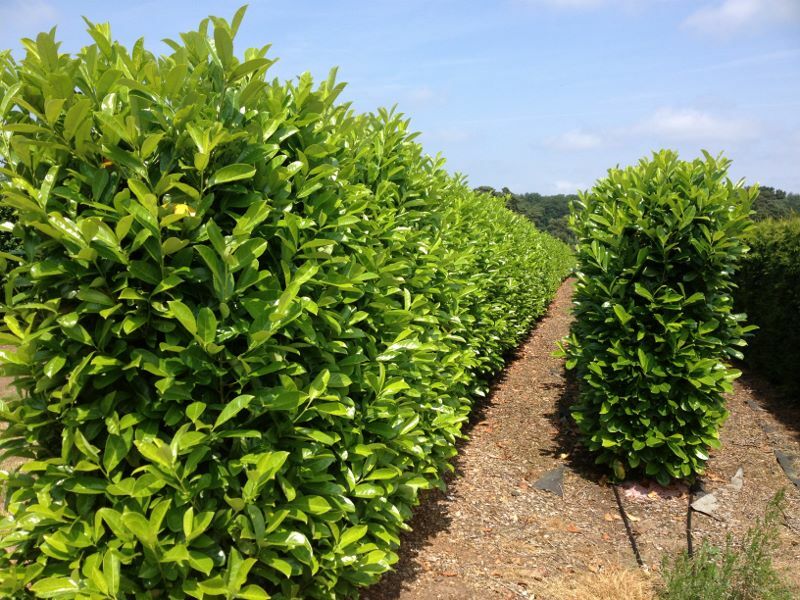 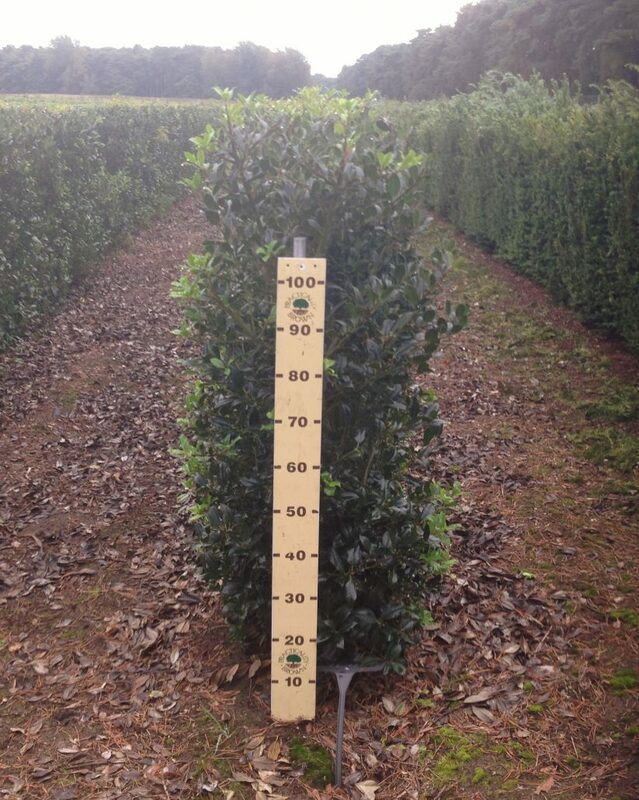 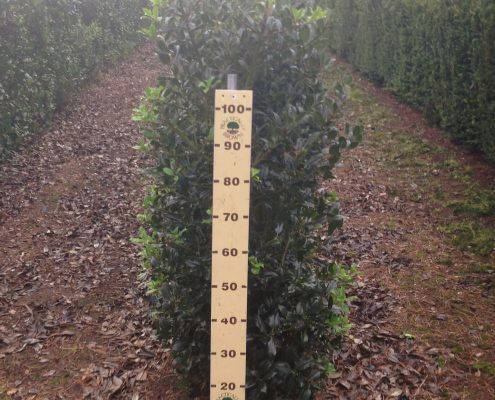 The UK grown Elveden Instant Hedge is at the top end of our Instant Hedging range. This is dense, fully mature instant hedging. 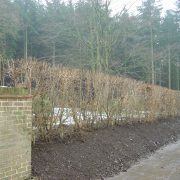 It is completely knitted together, flat sided and sold by the linear metre, not as individual plants. 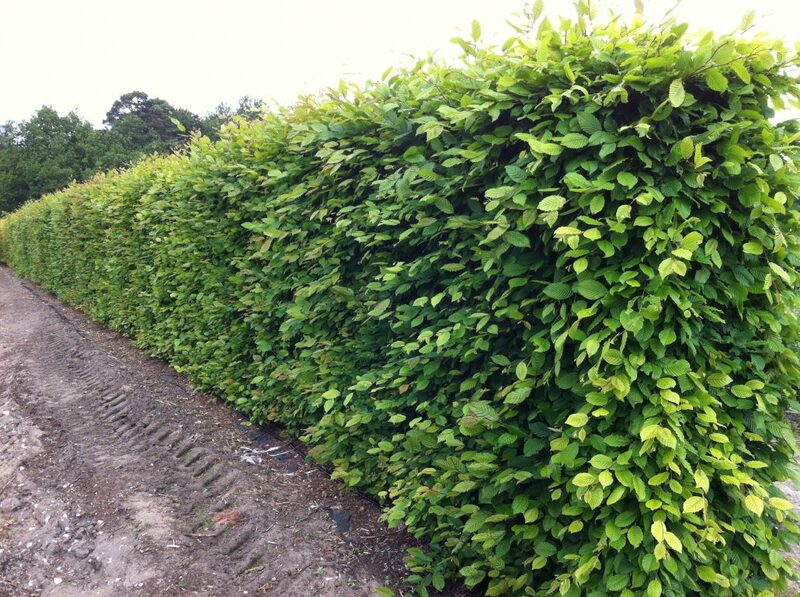 This Instant Hedge is regarded by many as the best available. 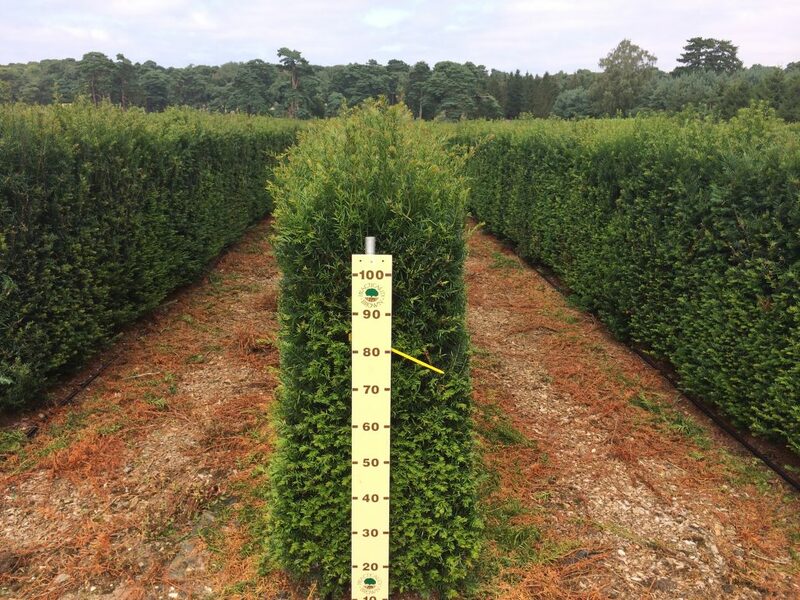 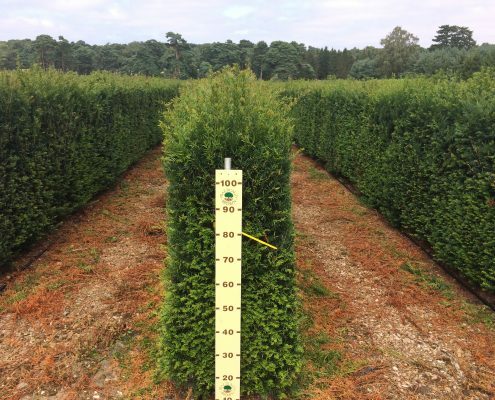 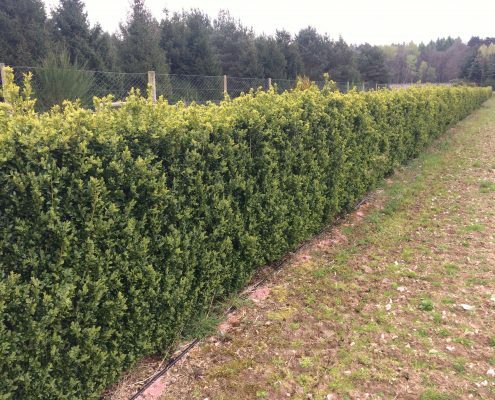 Grown at the Elveden Estate in East Anglia since 1998, this mature instant hedging product has been developed and extensively trialled to ensure that it is an effective and robust hedge for the UK environment. 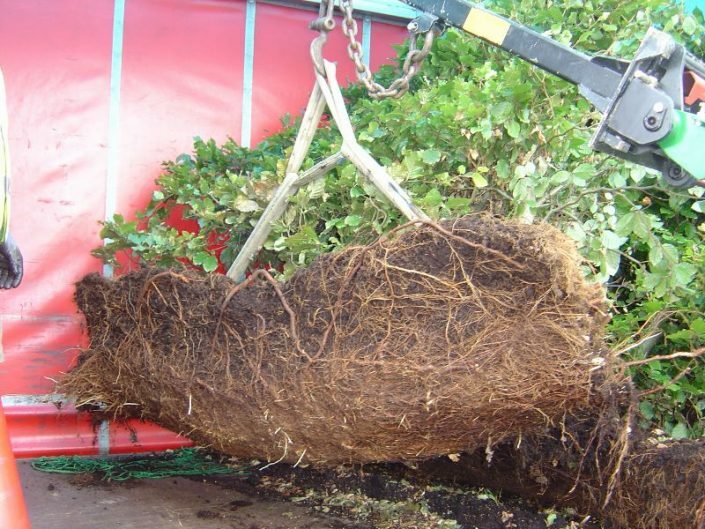 It is unique in that its entire root structure grown in such a way that enables it to be carried to the planting site, eliminating transplant shock and allowing year round planting of this substantial mature hedge. 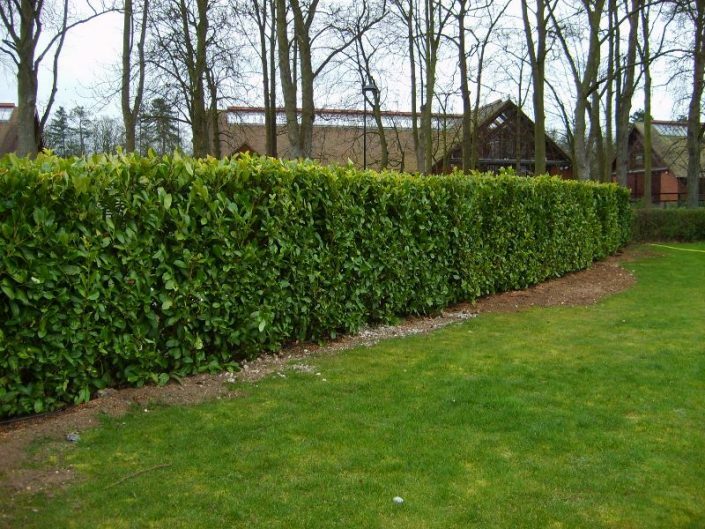 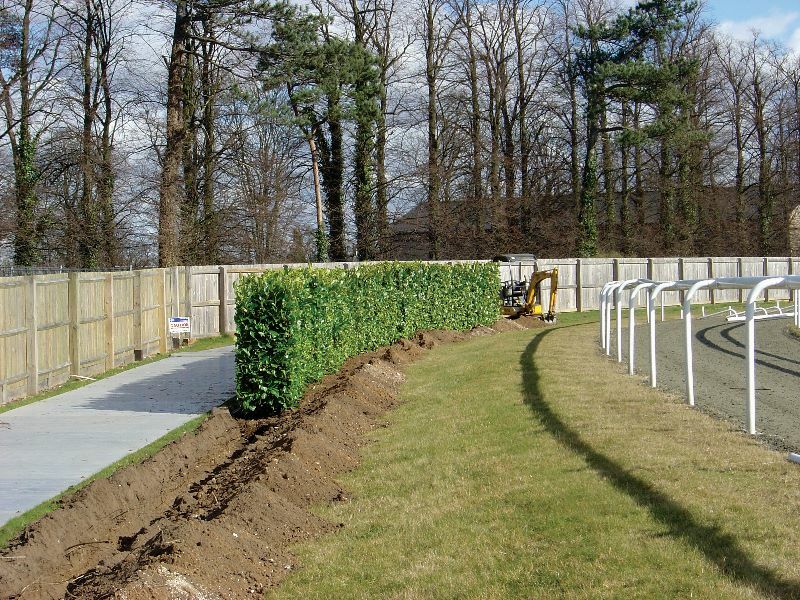 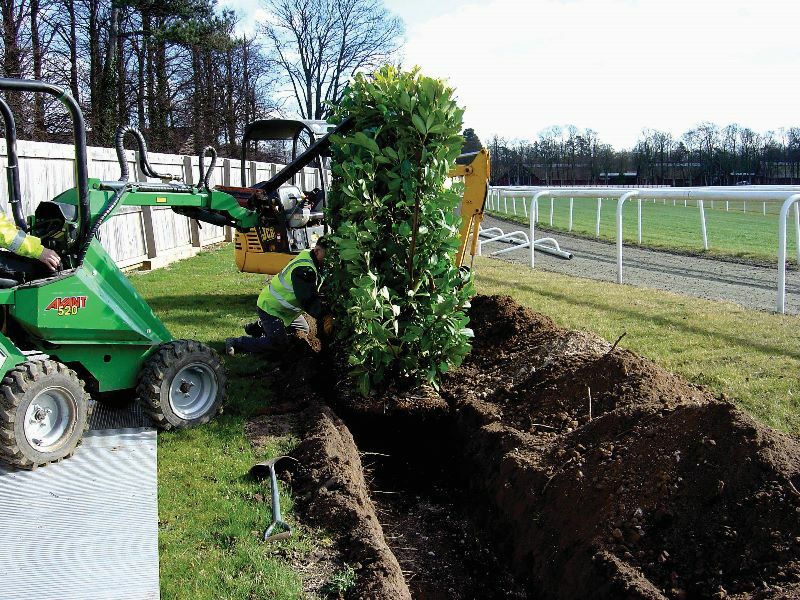 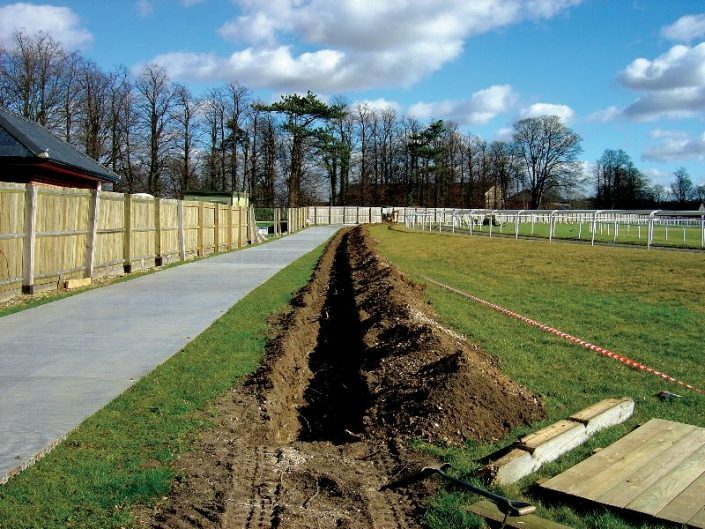 We supply both evergreen and deciduous instant hedges, see our gallery for completed installations. 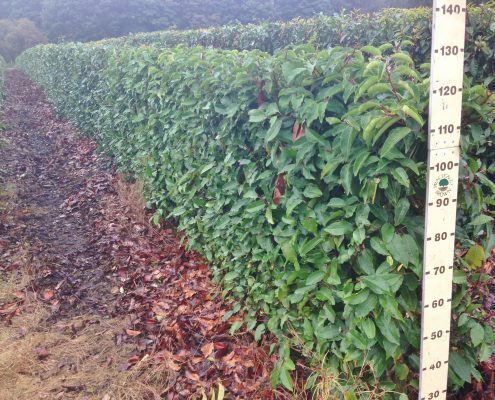 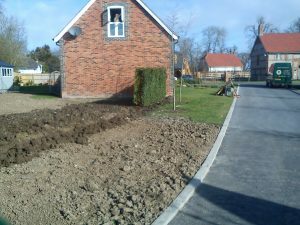 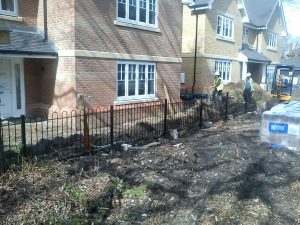 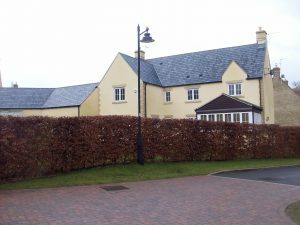 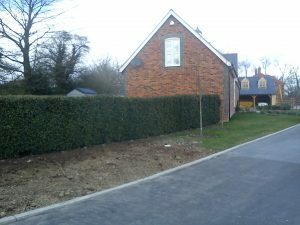 Elveden Instant Hedge has proved itself to be the most mature and reliable instant hedges in both commercial and domestic situations. Our Elveden Instant Hedges are often used by Garden Designers in award-winning RHS Flower Show gardens, including the Chelsea Flower Show; see the projects page for updates. 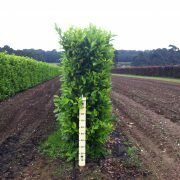 Used by Garden Designers in award-winning RHS Flower Show gardens, including the Chelsea Flower Show; see the projects page for updates. 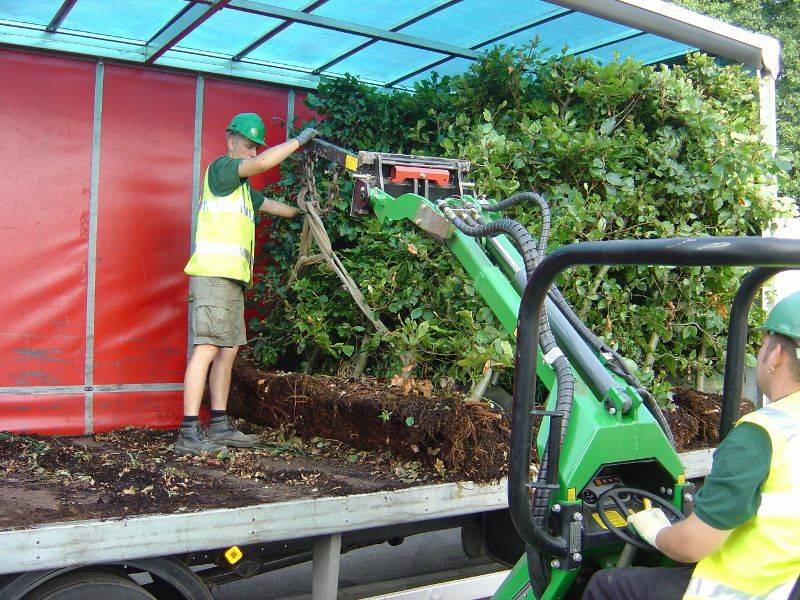 Supply only trade terms are available to the landscape and nursery trade with efficient nationwide delivery. 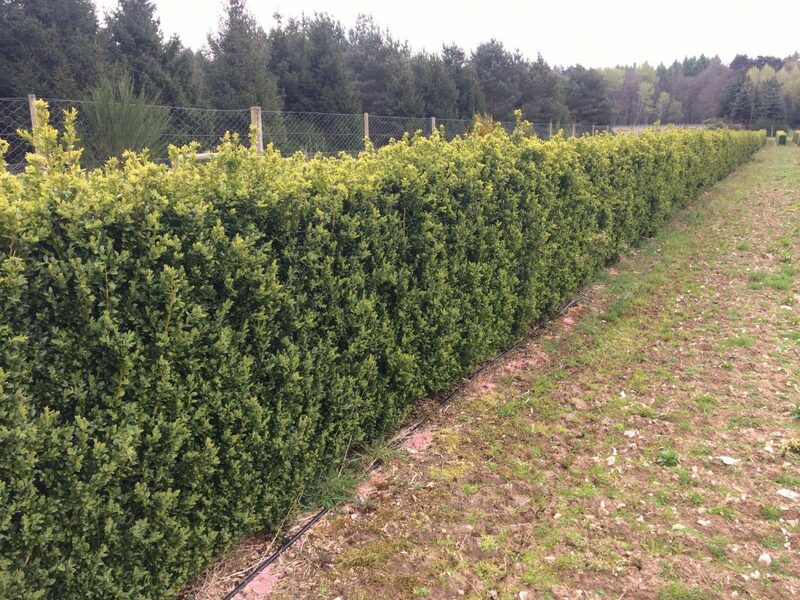 Elveden Instant Hedge comes in various species, please see below for a choice of the seasonally interesting deciduous and evergreen, which is great for year round privacy screening. 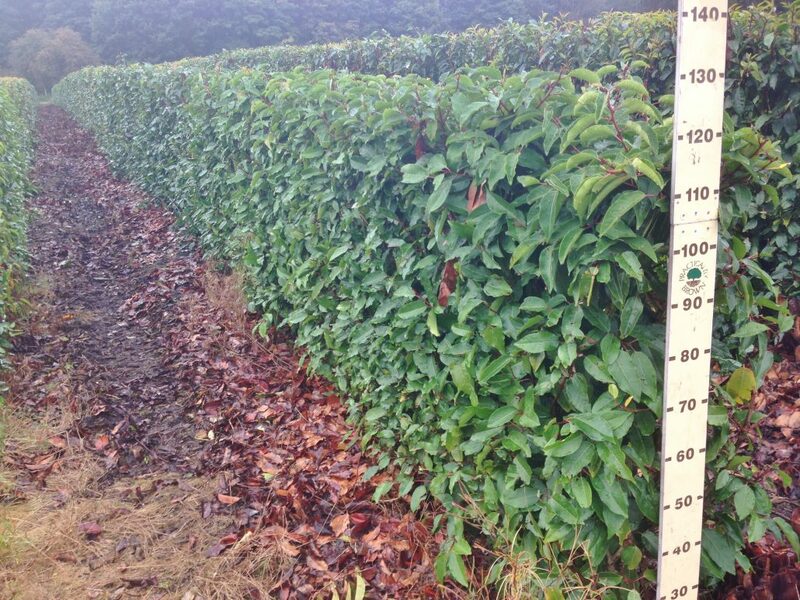 Hedge Selection Guide which is a table with more information on some of species of hedge that we sell. 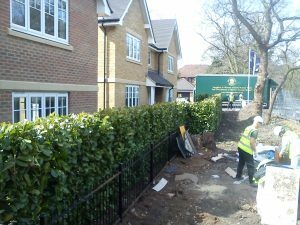 Please Contact our sales team for a detailed quotation, or to arrange a nursery visit. 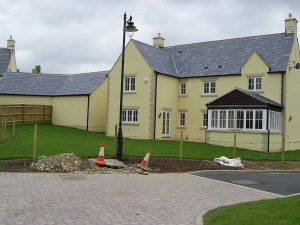 Note: We are the sole owners of the information collected on this site. We only have access to/collect information that you voluntarily give us via email or other direct contact from you. 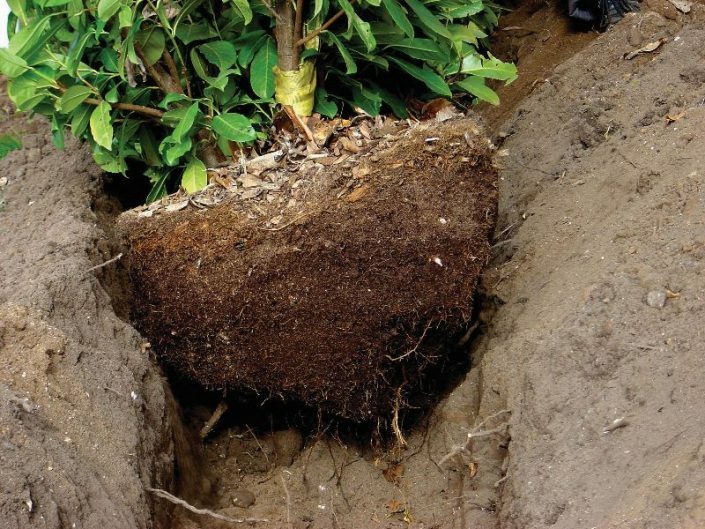 We will not sell or rent this information to anyone.